Have you ever been in a pickle? I have. Lately I have been in a lot of pain. So much that I have not been able to make these dolls. I want to but I have been diagnosed with carpel tunnel syndrome and arthritis. Thats why my hands have had shooting burning pains in them. It often brings tears to my eyes. So what about making these dolls. I ask myself should I continue in pain or try to get help? Well I have tried to get help and so far I am not able to do that. It's a real Pickle, for me anyway. So I was in church and the pastors wife does our children's church. This past week she talked about pickles. Yep you heard it right. Pickles! They come in lots of varieties, sour, dill, sweet, bread and butter etc. So anyway, her point was that were are often in a pickle as we go about our days, troubles and stress come all around us and tempt us to give up and stop doing the things we know we should do for the Lord. So this week my hands feel a little better. The braces I sleep in and work in are starting to help the swelling go down. Please pray the pain will go away. Remember this: Pickles are under pressure but they are always well preserved. God will help those who believe in Him, He will preserve you in times of trouble. Read the entire chapter to see how. Whats your favorite kind of Pickle? Mine is dill. Have a great week! Be sweet if you get into any pickles. Model search for babies born at 33, 34, 37, 39 weeks of pregnancy. 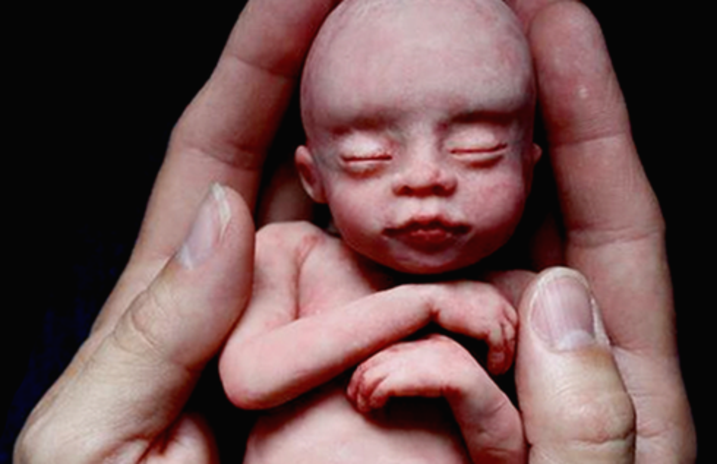 Artist goal is to finish the series of sculpting all 40 weeks of life. You can help save real babies lives. Please contact artist. See link below.